Founded in 1997, THE DOVE CONNECTION is backed with 20 years of experience doing dove releases. Our service area is Las Vegas, NV including: Las Vegas, N. Las Vegas, Summerlin, Henderson and Lake Las Vegas. Cathy provides professional staging from the simple to the spectacular. Ed, Cathy's husband keeps everything running smoothly with his help and support. We want your day to be unforgettable, no matter what the occasion, and we will work with you and/or your coordinator to make your day extraordinary with a breathtaking dove release. Through our dedication, experience and expertise, The DOVE CONNECTION has established relationships that will last a lifetime. Although weddings and memorials are our most common dove releases, we offer a range of options for other special occasions. We have even provided dove releases for various TV shows, movies and commercials. Our memorial dove releases are discounted for everyone including Veterans. We have contributed to our community by educating and providing dove releases for schools and charities. 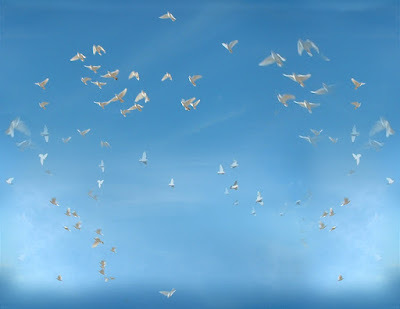 We also, participate every year at the "Easter Sunrise Services" at Palm Mortuary, where hundreds of doves are released during the final hymn. Finally, we take care of all the details for you. 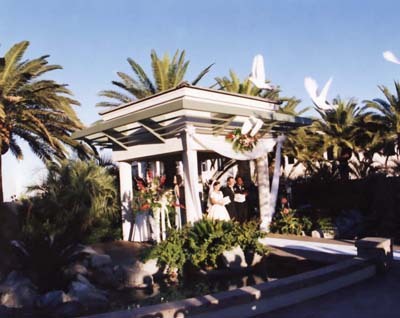 Once you have placed your order for a Wedding dove release, we ensure that the photographer, videographer, and the minister are all advised and provided with the necessary information to capture this special moment that will have your guest both surprised and thrilled as the doves soar skyward.